Though Chronic Lyme is ignored by many conventional medical doctors, there are a few, outside of the “system,” that are truly pioneering in the study of this debilitating illness. The information that they learn about the effects of a single tick bite is rather astonishing. Therefore, I decided to put together an article summarizing some of the most unknown, yet key facts about Lyme Disease, that can ultimately be useful to both the victim and observer. Some of the information presented is from Dr. Leo Galland, an incredibly wise functional medicine doctor stationed in NYC, that has had a major role in “peeling back the many layers of the onion” that Chronic Lyme is in my body. 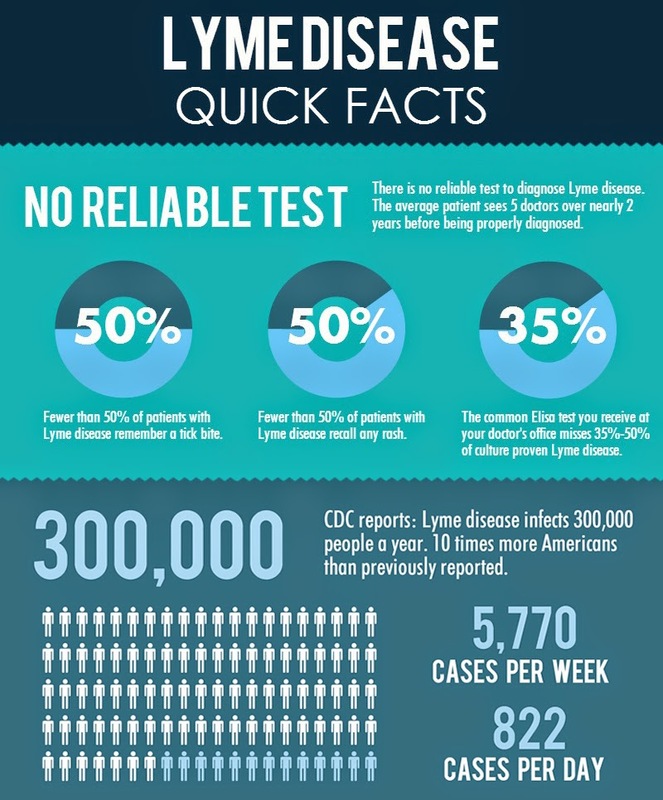 Lyme is one of the most politically driven infectious diseases to date. This not only hinders patients from finding doctors who support them, but makes diagnosing and treatment practically unheard of the in the realm of conventional medicine. Yet most do not understand why this is, and typically choose to ignore the entire subject until they too are infected with the life changing illness. Despite those who claim otherwise, Lyme is thought to have originated as a bio-weapon for the U.S Military that was accidentally leaked from the Plum Island Animal Disease Center. Though seen as a mere coincidence to some, this facility, which also has a “tick research lab,” just so happens to be 10 miles from the place where Lyme was first documented to occur in 1975, at Old Lyme, CT. Backing up even further into history after World War II, Plum Island hired a shady, Nazi-associated man that previously worked directly under Hitler, known as Erich Traub. He escaped to the U.S. through the exfiltration of 2,000 Nazis out of Germany, where he previously had served as an industry director for top biological weapons, with an expertise of infecting ticks and mosquitoes with biological germs. Known as “Operation Paperclip,” this project was conducted and created by the JIOA (Joint Intelligence Objectives Agency) to “deny German scientific expertise and knowledge to the Soviet Union and the United Kingdom, as well as inhibiting post-war Germany from redeveloping its military research capabilities.” Once these men were wiped of their past Nazism, the U.S government granted the scientists security clearances to work throughout the country. Ultimately, the Paperclip project was America’s way of changing the identity of German, post-Nazi scientists so that they could use them for their incredible knowledge. Despite Homeland Security now claiming there to be nothing suspicious happening in the government research center where Eric was previously stationed, and that “not in our 50 years of operation has an animal pathogen escaped from the island,” many (including myself), beg to differ. It is also important to note that John Loftus, a former Justice Department prosecutor, wrote in his book “The Belarus Secret,” that in the 1950’s, there was work being done on Plum Island where Nazi scientists were “experimenting on diseased ticks.” This time frame aligns perfectly to when Dr. Traub would have been stationed there, as well as the three USDA documents found from the vault of the National archives, labeled “Tick Research,” and, “E. Traub.” Therefore, while governmental claims may range from there being “no such thing as Lyme Disease,” to admitting there is, yet with “no cure,” the near documented evidence, and thousands of those infected yearly, serve as definite proof otherwise. It is also key to note that other proven diseases, such as the West Nile Virus, bird flu, swine flu, and food-and-mouth disease, have also escaped from Plum Island. That being said, you do not have to know the exact origination of a tsunami to know that it is real. No, it just happens, and the devastating aftermath is inevitable and undeniable, much like that of Lyme Disease. As Dr. Leo Galland says in his “10 Things You Need to Know About Lyme,” much like syphilis, this GMO hybrid bacteria can give you a wide range of symptoms that involve many different organs, “including the skin, nervous system, joints, muscles, heart and eyes.” He says that in his practice, “Lyme serves as the trigger for half of his patients with chronic fatigue syndrome or fibromyalgia, most patients with painful neuropathies or autonomic nervous system disorders, 40% of people with dizziness and 30% of patients with arthritis or autoimmune disorders,” and even those misdiagnosed with Chron’s disease or MS. It also changes one’s personality, thinking, memory, and overall mood, leading doctor’s to simply put patients on antidepressants. In reality, Lyme creates serious neurological damage when gone untreated, as it wrecks havoc on both the central and peripheral nervous system. This condition is termed “neuroborreliosis,” a name after the Borrelia Burgdorferi spirochete itself. Symptoms include facial palsy and weakness, neck and head aches, double vision, sensory disturbances, dizziness and vertigo, excessive sensitivity to noise or light, shoulder droop, debilitating fatigue, GI motility disorders, urinary track problems, and even spinal cord paralyzation. Lyme can also cause various psychiatric related symptoms of hallucinations, panic attacks, sleep disorders, ADD/ADHD, autism, and dementia, which of patients are typically labeled by conventional doctors as having a “somatoform disorder.” How does this happen all through one small tick bite? As the spirochete, Borrelia Burgdoferi enters through the bloodstream into one’s body, it creates inflammatory mediators in the CNS (central nervous system), as well as the death of glial cells and specific neurons, both leading to neurocognitive deficits. The degree of destruction (encephalopathies) that can occur even after just a few months of an initial infection, is quite astounding. Damage to the white matter (i.e myelin) material in the brain that surrounds various nerves (multifocal encephalitis), lesions, bleeding (subarachnoid hemorrhage), and overall destruction of nervous system neurons, producing incredibly life altering conditions. As mentioned before, spirochetes like to target and live in one’s spinal fluid, which then creates an inflammatory condition similar to that of a spinal cord damage, where sensory alterations, autonomic dysfunction, and full body weakness occur (transverse myelitis). IL-1 (Interleukin-1 beta) IL-6 (Interleukin-6), TNF (tumor necrosis factor), and interferon gamma, are just a few of the various cytokine and chemokine immune mediators that are provoked by B. Burgdoferi, and thus cause one’s body to attack its own CNS. While there are many severe, neurological factors that cane be caused by Lyme Disease, it has been shown that long term exposure can also cause what is known as a “chronic autoimmune disease,” regardless of if the infection is still present or not. By expressing vast diversity of lipoproteins on its outer surface, the spirochete is able to avoid the immune system’s attacks, and thus continue its destruction to the mitochondria of one’s cells. As previously mentioned, Borrelia spirochetes also have immunomodulatory-immunosuppressive features, causing the immune system to simply give up on fighting the infection. 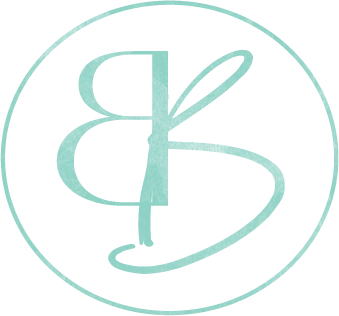 Beyond the most severe complications that can stem from untreated Lyme, hormone deficits, dysbiosis, co-infections, and impaired detox mechanisms, are all more minor, yet incredibly detrimental side effects of being infected by a Borrelia spirochete. Ultimately, the conditions caused by Lyme that I have discussed are only the tip of a vast, unknown ice berg. They are seemingly endless, unstoppable, typically invisible on the outside, and thus ignored, causing Lyme to be compared to the crisis of AIDS. Most people view Lyme like a seasonal cold or flu, that starts through a tick bite, turns into a bullseye rash, makes them feel bad for a couple weeks, after which they take a round of doxycycline, and then go on their merry way. However, this is one of the most faulty definitions yet to describe Lyme Disease. Spirochetes don’t like antibiotics, and in fact, are smart enough to avoid them through creating biofilms. They also know where it is in your body that they can hide safe (i.e between cells, lymph nodes, etc), sheltered from any medication or herb that may be looking to kill them. This causes various treatments to be ineffective, including the 30 days of doxy your primary care physician might prescribe. Once a host is infected, most spirochetes go off and hide, with little disruption to the immune system. Then, when their host is at a prime (usually weakened) state, they start working away at destroying any organ, nerve, or any other internal system they chose. This causes people to experience random, seemingly minor, and rotating symptoms such as joint pain, headaches, GI upset, fatigue (though this is quite light compared to later down the road), dizziness, colds, or depression. These symptoms will usually be ignored, especially if there was no previous rash, as doctors are too prideful to believe in such a disease, while patients too seemingly busy for slowing down and assessing their current health. This is one of the most naive things an individual can do, as not only will things become vastly more complicated as time goes on, but getting into a doctor who believes you and knows how to help, is typically a minimum of six months. This is where many victims fall short, don’t take the initiative, don’t advocate their health, and get swept under the rug of conventional medicine. For the time being, they believe it’s “all in their head,” and thus succumb to feeling generally crappy. 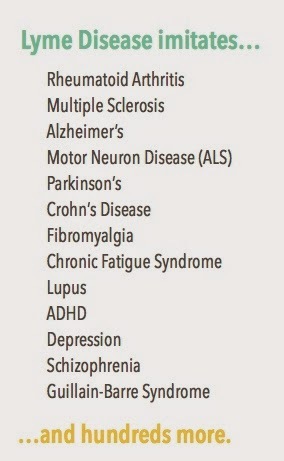 However, as time goes on, they develop RA, MS, Chronic Fatigue Syndrome, Crohn’s Disease, IBS, Lupus, and (or) Fibromyalgia, all things doctors have no problem diagnosing. 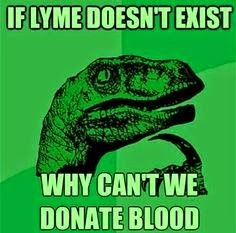 Yet little do people stop and actually think and learn their body, only to realize it is all due to untreated Lyme that is still hanging dormant in their body. This is where you have to be smarter than your standard doctor. They may have not learned about Lyme in their old textbook, but the information is online, and available for anyone to read. Despite a medical degree, doctors are not gods. Therefore, while some might deny Lyme, I believe no one knows the patient better than the individual themselves. It is your body, and unlike most have come to believe, life is not supposed to be a struggle as you push through seemingly “normal,” debilitating, daily symptoms. These are not normal, you are not imagining them, and they are a big deal. Sure you can go to the doctor’s office to see what they say, but don’t let them put your head in the sand and blind you from the reality of the situation. Ticks are small, but they are becoming a bigger issue by the week. Take your life into your own hands, because in 3 years, or even 3 months, it might be too late. It is time for Lyme patients to take a stand once and for all. It is important to note that fighting the initial infection of Lyme is a whole separate battle than healing from the effects that it causes. 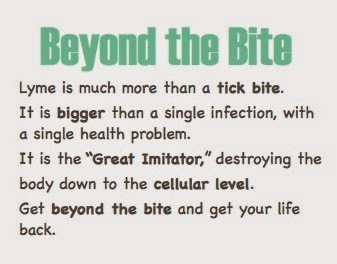 Therefore, while one may see finding a Lyme literate doctor to be unnecessary at the moment, it can aid tremendously in actually getting one’s life back, as these doctors understand that there is much more to a tick bite than “Lyme Disease.” Once the infection is taken care of, then it is time for nerve, cell, and overall body healing. However, getting to this stage and staying there, without a relapse into a co-infection, or “flare up” of spirochetes that had previously escaped detection, is very difficult. Therefore, to address every aspect of untreated Lyme, a team of doctors, all with differing specialties and takes on the human body, is inevitably needed. For me, this includes a neurologist, integrative medicine doctor, functional medicine doctors, an endocrinologist, immunologist, allergist, as well as various naturopaths, surgeons, and many other specialists that I cannot even start to name. Yet with all of these doctors, one of the most important aspects of finding true healing is one’s own intuition, research, and self-advocacy. Lyme literate doctors may understand the disease from a scientific, research standpoint, however, you know your body better than anyone else. If you are experiencing something, say something, as it might just help connect the various pieces of the puzzle that have been scattered into shambles. Below I have included some resources for further information and reading. 21, 2012 October. “Dicey Path to Lyme Disease Diagnosis.” In Case You Missed It: Dicey Path to Lyme Disease Diagnosis (n.d.): n. pag.Newhaven.edu. Mary Beth Pfeiffer, 21 Oct. 2012. Web. Dec.-Jan. 2014. <http://www.newhaven.edu/466769.pdf>. Doyle, Patricia, PhD. “Plum Island, Lyme Disease And Operation Paperclip – A Deadly Triangle.” Plum Island, Lyme Disease And Operation Paperclip – A Deadly Triangle. Patricia Doyle, n.d. Web. 17 Dec. 2014. <http://www.rense.com/general67/plumislandlyme.htm>. Thanks for all of the info here! Wow. What an article! The amount of time and research you put into this really shows. I’m grateful to have read this, but also a bit overwhelmed. So much of my experience makes sense now. I can look back and see my suffering with new eyes: I have been struggling with Lyme for so many, many years. Reading about Project Paperclip was intense. I’d didn’t know anything about that. Scary stuff.